A hospital that was to undergo modernisation is now set for demolition after it was discovered that the building contained dangerous levels of asbestos. Such findings emphasise the continued importance to so many organisations of an asbestos surveying company like Trident Surveying. 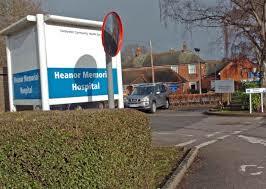 Amosite (Brown asbestos) was discovered in the boiler room of Heanor Memorial Hospital during a routine inspection in 2013. The hospital was forced to close immediately. The sudden need to move meant that services and clinics had to be moved to Ikeson Community Hospital. The additional checks uncovered the presence of asbestos dust in several locations, with asbestos debris and asbestos cement being discovered in the heating pipework ducts. The extensive presence of asbestos throughout the hospital meant that the proposed modernisation project would have presented unacceptably dangerous levels of risk to all workers involved, unless the asbestos containing materials had been properly removed. Now, over a year later, it has been decided that the hospital is so riddled with asbestos that an entire new building must be constructed. Financial costs aside, the uncovering of asbestos in such unexpected quantities within a hospital underlines its continued presence in many UK buildings. The lingering menace of asbestos is clearly not a thing of the past; fatalities continue to be reported and lethal amounts continue to be found. All premises that have any chance of containing unstable asbestos should be thoroughly inspected by a reputable asbestos surveying company to ensure that no unpleasant surprises are waiting in the future – with few asbestos surveying companies being as reputable as Trident Surveying. 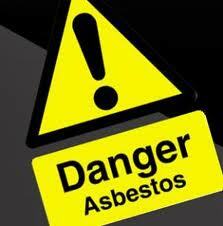 Supreme Court ruling places full responsibility for asbestos exposure on business owners. Law firm Irwin Mitchell has won a Supreme Court case for the family of a recently deceased asbestos-related cancer victim. They will now receive compensation in spite of the fact that the man in question was not an employee of the factory that exposed him to the substance. Such a ruling places even more importance on the necessity of using a company like Trident Surveying to provide thorough asbestos surveying for your company’s buildings. From 1954 to 1958, waste lorry driver Percy McDonald made regular stops at Battersea Power Station, where he was exposed to asbestos. His trips to the Power Station did not take long and did not occur often, but were enough to cause his death over fifty years later from mesothelioma, a rare form of cancer that affects the tissue around major organs. Percy McDonald’s death has served to highlight the toxicity of asbestos for even those whose contact with it was minimal, while the Supreme Court’s decision has helped to establish a precedent that puts the responsibility for asbestos-related harm on the owner of a premises, whether those who suffer from the effects are employed by them or not. 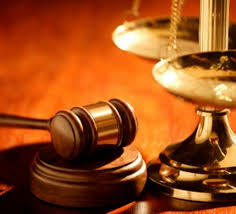 The judgement also dictated that regulations on asbestos use apply to all factories that make use of the substance, not just those that are directly involved in the asbestos industry. The importance of this ruling for factory owners cannot be overstated. An increased burden of responsibility, both moral and legal, means that future sufferers and their families will have the opportunity to demand settlement for past asbestos contamination. With the government seeking to improve awareness of the risks of asbestos exposure, the ruling could lead to large financial costs in the future. Trident Surveying is a leading provider of asbestos surveying, with over 25 years’ experience in the field. Whatever your location in the UK, whatever industry you’re in and whatever the size of your project, Trident has the knowledge and expertise to ensure that you’re given legislative compliant solutions to help protect your business. We’re available for your asbestos surveying needs on a 24/7 basis, every day of the year, and offer a rapid response and quick turnaround to ensure that you get total protection as fast as possible.